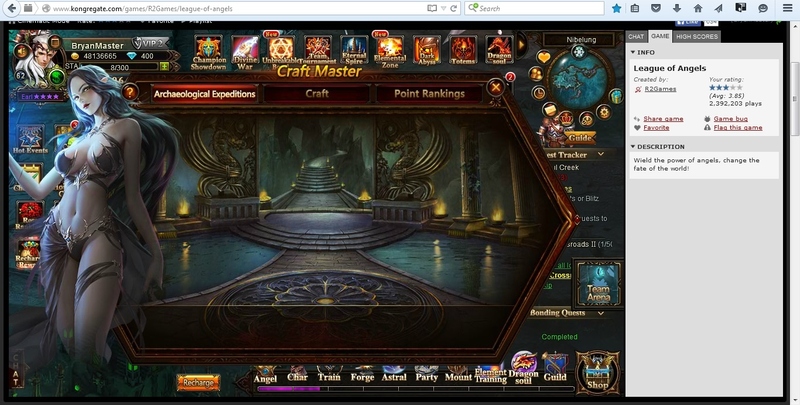 North America Forum»Forum ›League of Angels ›Bugs › Craft Master is Blank? I usually play league of angels at kongregate.com website. Everything is fine, until today this is happen (figure below). Hope it be fine ASAP, cause I don\'t want miss my prizes. I would like to say i have the exact same happening today. Also the 2 cards for enegy and two extra attempts didnt show. ;;;; I usually play league of angels at kongregate.com website. Everything is fine, until today this is happen (figure below). Hope it be fine ASAP, cause I don\'t want miss my prizes. ;;;; ;;;; I usually play league of angels at kongregate.com website. Everything is fine, until today this is happen (figure below). Hope it be fine ASAP, cause I don\'t want miss my prizes. 2019-4-19 01:17 GMT+8 , Processed in 0.055712 second(s), 42 queries .